Market research firm assessed content and design of industry-leading client reports. 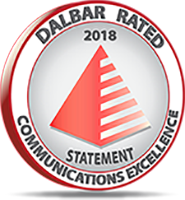 InvestEdge, the leading provider of innovative financial advisory solutions, today announced it has been awarded the prestigious DALBAR Communications Seal of Excellence for Performance Reporting. The seal exemplifies a firm’s commitment to client service and demonstrates a superior standard of client communication. 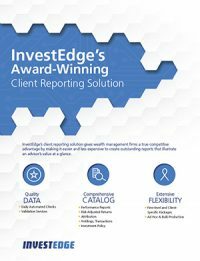 Detailed, customized reports are a critical tool for attracting and retaining HNW, UHNW and institutional investors. 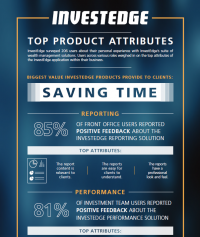 After all, reports are one of the few tangible things clients receive from any investment firm. Yet creating and distributing reports can be a time-consuming task -- especially when a large number of complex accounts are involved. How to demonstrate advisor value and build trust through better communication. For many advisors, developing reports means running numbers. 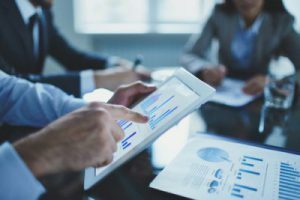 They spend their time pulling data from disparate databases, adding a little bit from the accounting system here or an update from performance returns there. Then they have to format the document just to make it presentable. When advisors are stuck in this manual mindset, reporting is a major drain on time and the end result is not meaningful. Feature Article from PAM Magazine: Reporting for duty. PAM's briefing takes a look at the challenges facing wealth advisors attempting to optimize their client reporting process, including increasingly complex portfolio structures, changing client demographics and difficulties in integrating technologies. You've just gotten a call from one of your most important clients. She's in town unexpectedly and wants to meet with you this afternoon to review her investments. What do you do? If you're like many investment advisors, you scramble. You cancel other client appointments and calls. You put off other work. You call in support staff, and together you go on a treasure hunt, looking for information in a half-dozen Excel spreadsheets and PowerPoint presentations, pulling data from the firm's automated systems, then writing commentary and cobbling it all together into a report that looks...well, cobbled together.